Welcome to 1950’s Ireland, Aidan, and his daughter, Lily. Nothing too out of the ordinary, right? Yeah, happy family, nothing to worry about. 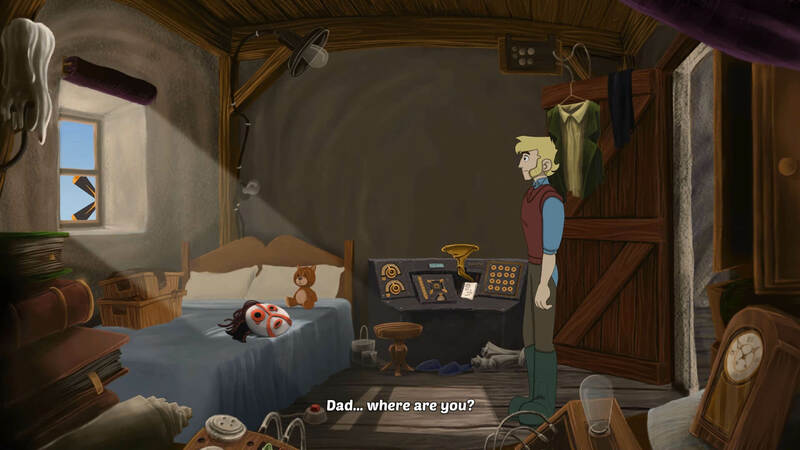 Except for the fact that Lily’s father has somehow managed to get himself transported into a strange new world. “Oh no!”? Well, such is the way of events in The Little Acre, and needless to say, Lily’s determined to follow, maybe even keep them both out of trouble somehow. As if. But where did poor Aidan go, and perhaps more importantly, why wasn’t he simply relaxing at home with his daughter? Well, here’s the thing: his father – just like Lily’s, now – has gone missing! I swear, someone oughta tie a rope between this family, keep them from disappearing one after another. But then we wouldn’t have this rather stylish pointy and clicky adventure to peruse, and that’d be a darn shame. I mean, look at the animation in that trailer below, not to mention the voice acting on display. Quality stuff right there, and with no less than two playable characters to go adventuring with / as. Very groovy, I’d say. The Little Acre is available from Steam, GOG.com, Xbox One, PlayStation 4, priced at $12.99.